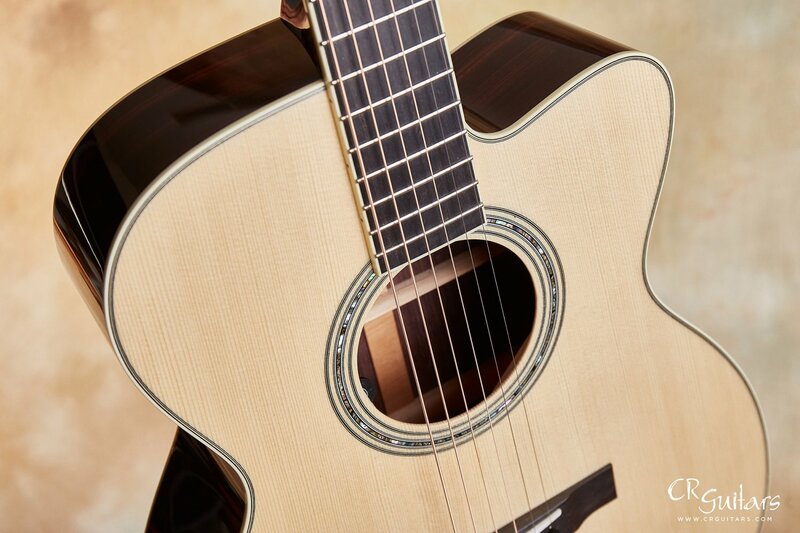 Our new Collings OM3 SS Cutaway is everything we hoped it would be (and more). 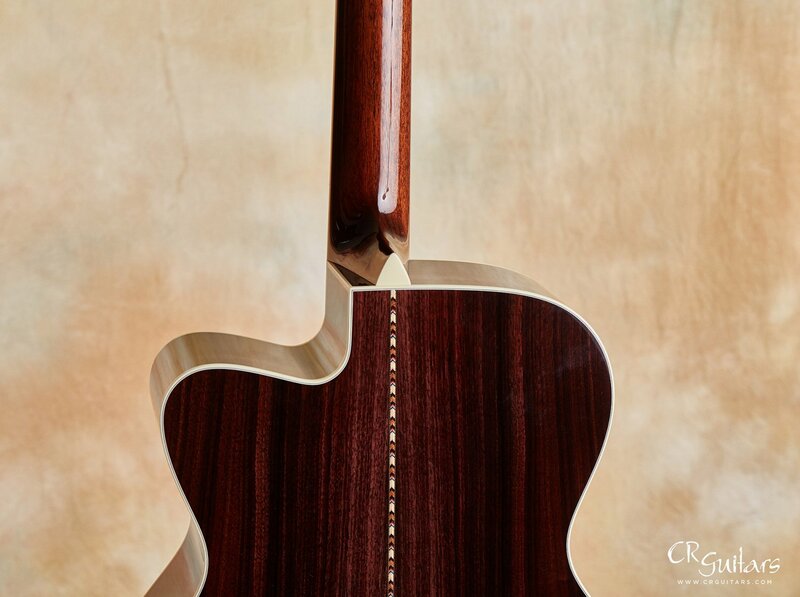 The mission was to have a "CR Guitars" model Collings that would satisfy anyone's all around acoustic needs. That meant first and foremost it had so be a superb sounding instrument. 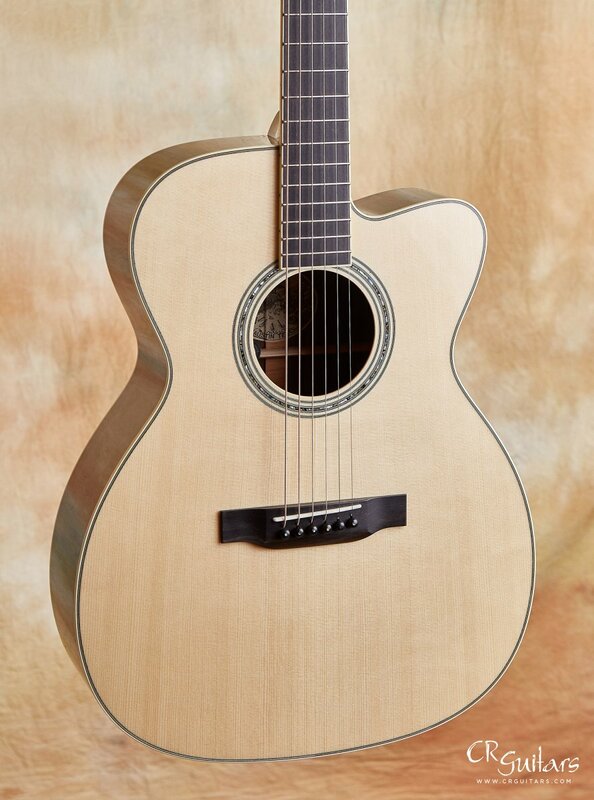 Beyond that, it needed to make fingerstyle style players light up as much as it would delight multi stylists. 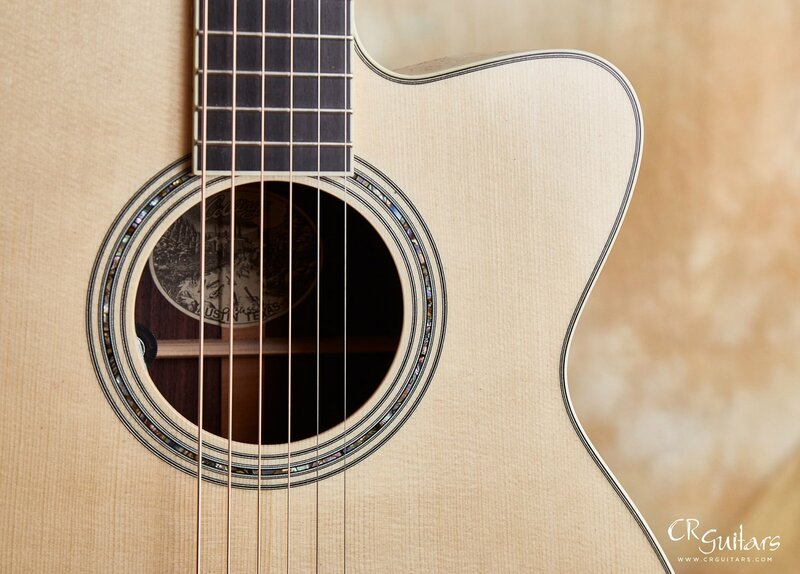 Finally, we wanted to be able to offer a guitar that would satisfy the acoustic guitar collector's spirit without breaking the bank. 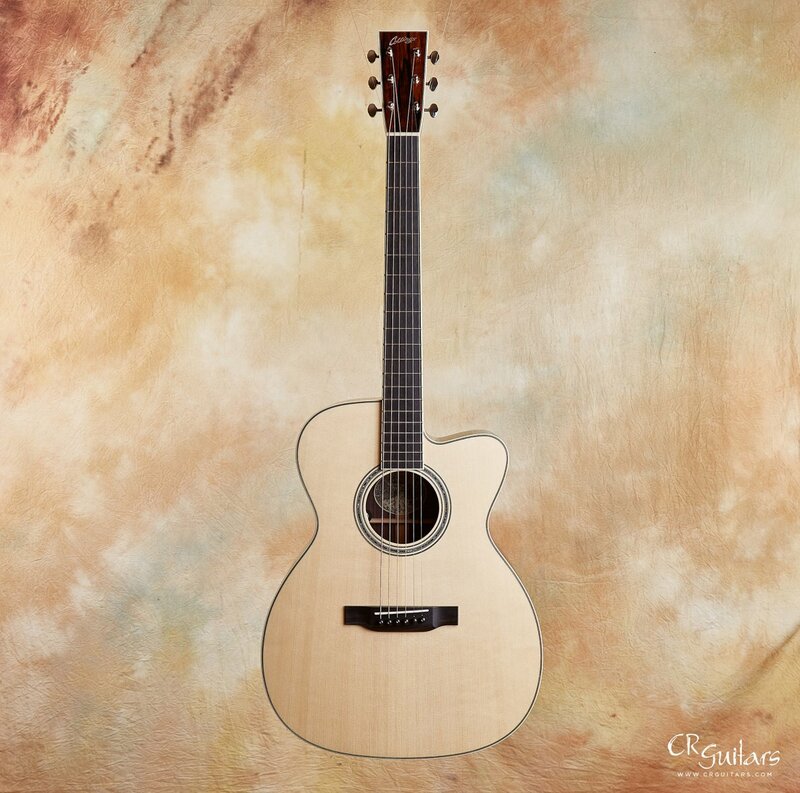 There are several fine guitar shops that specialize in acoustic guitars. They carry all the major brands, in every shape, color and wood configuration. If you are looking for lots to choose from then those shops are a great way to go. 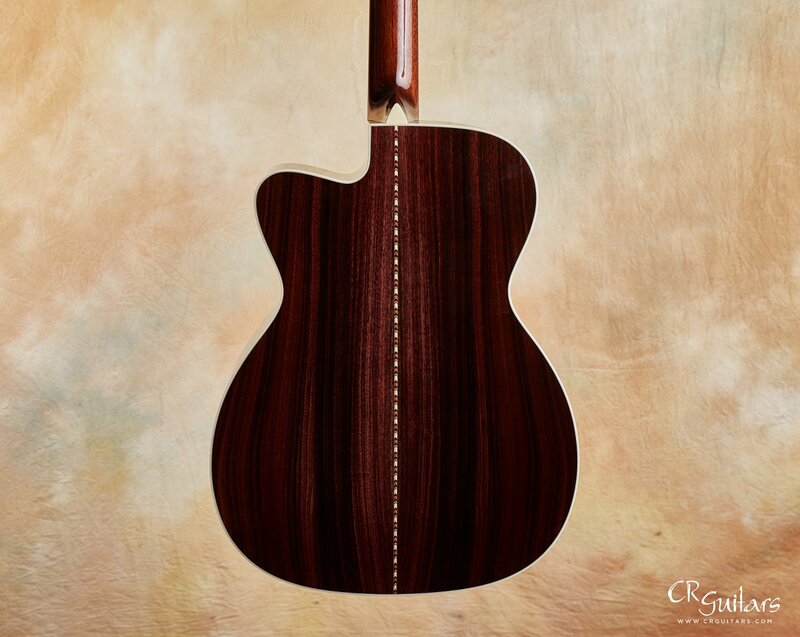 Here at CR Guitars, I have always tried to offer a smaller collection of hand-selected guitars with a strong point of view. That means guitars that have the potential to really connect to the player in a deep way. 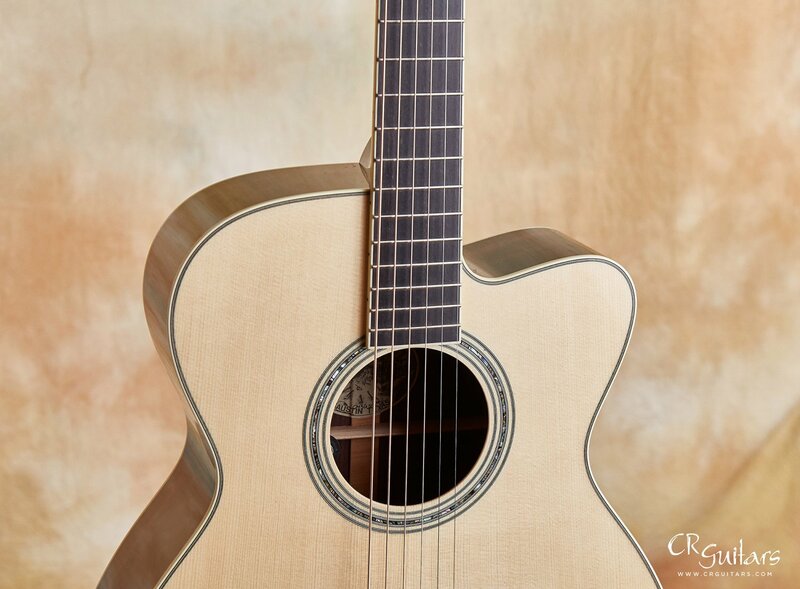 Guitars that will inspire you and put a big smile on your face. 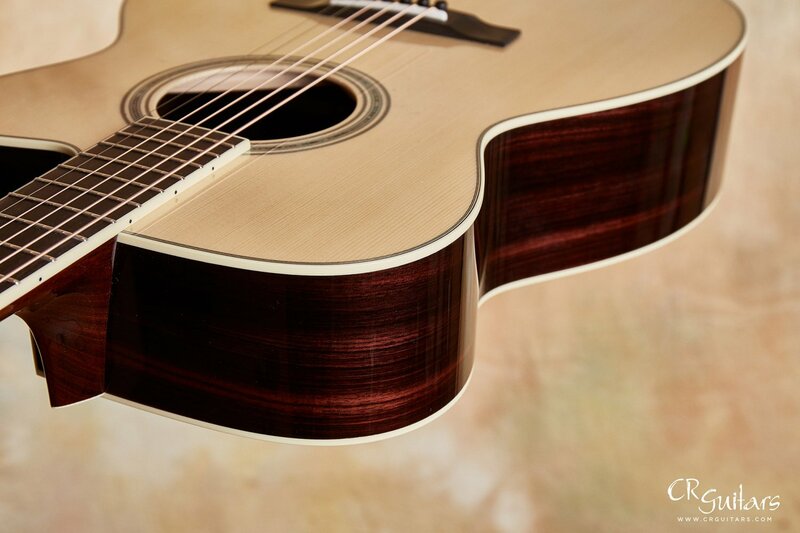 Basically, guitars that remind you why you fell in love with with GUITARS in the first place. 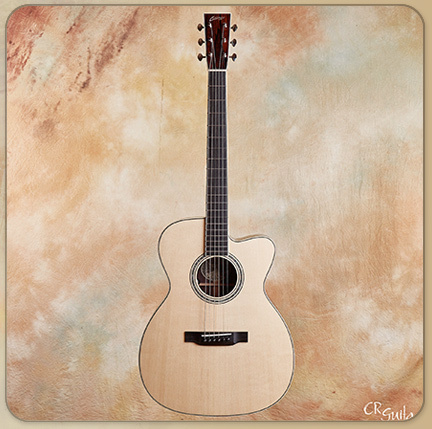 So with that in mind I tasked my friends at Collings to build an OM model that would put a big smile on my face. After several months of waiting it's here… and I'm smiling… big time! 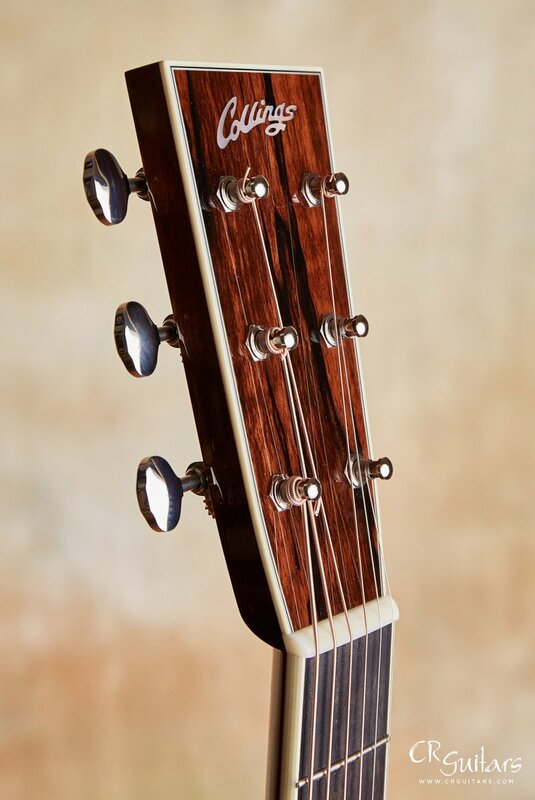 Our new Collings OM3 SS Cutaway is everything I hoped it would be (and more). 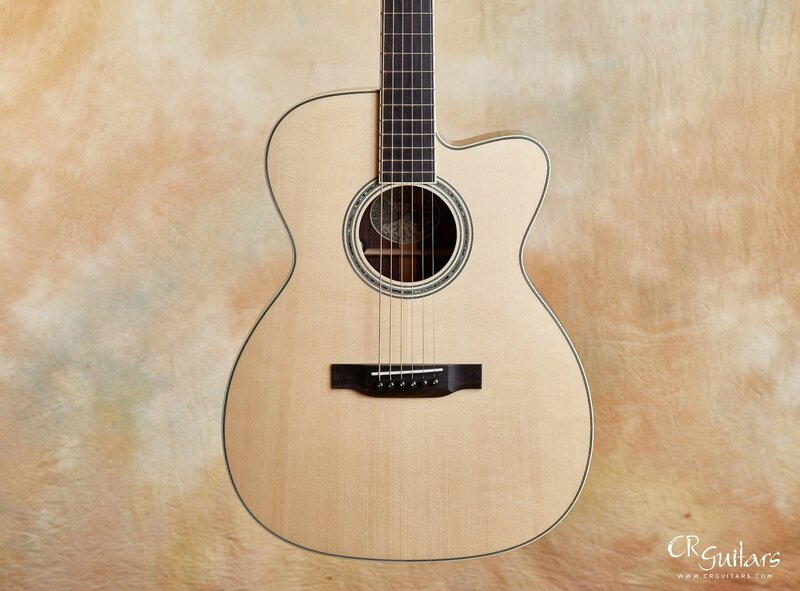 My mission was to have a "CR Guitars" model Collings that would satisfy my all around acoustic needs, in much the same way my remarkable Manzer acoustic has fulfilled this essential role for 25 years. That meant first and foremost it had so be a superb sounding instrument. Beyond that, it had to be a guitar that was able to cover many musical styles. 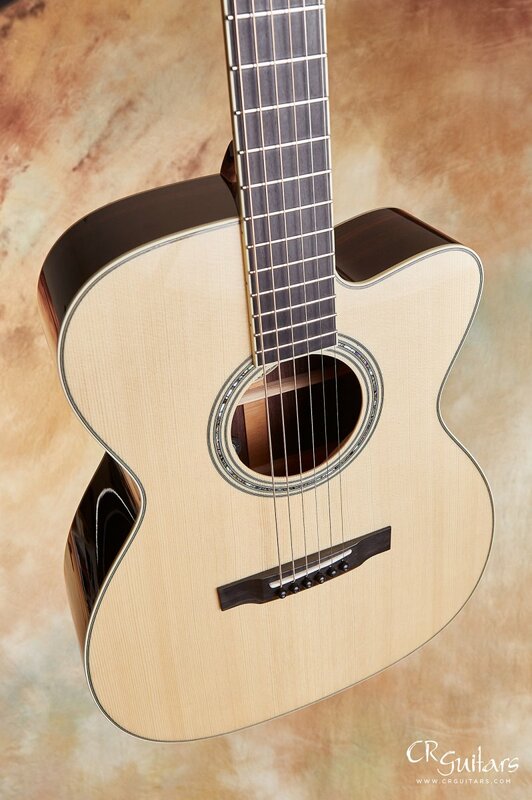 It needed to make fingerstyle style players light up as much as it would delight multi stylists. It should make Eric Clapton happy as well as Pat Metheny. 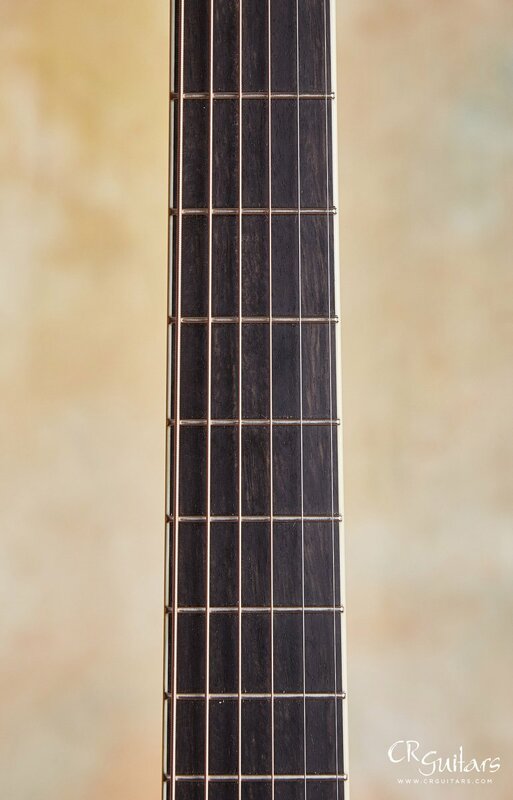 The guitar needed to be modern in its fit, finish and ease of playability - hence the 24.9 scale - but have that looser, less stiff vintage tone (hence the no tongue brace and sitka prewar-style scallop bracing). 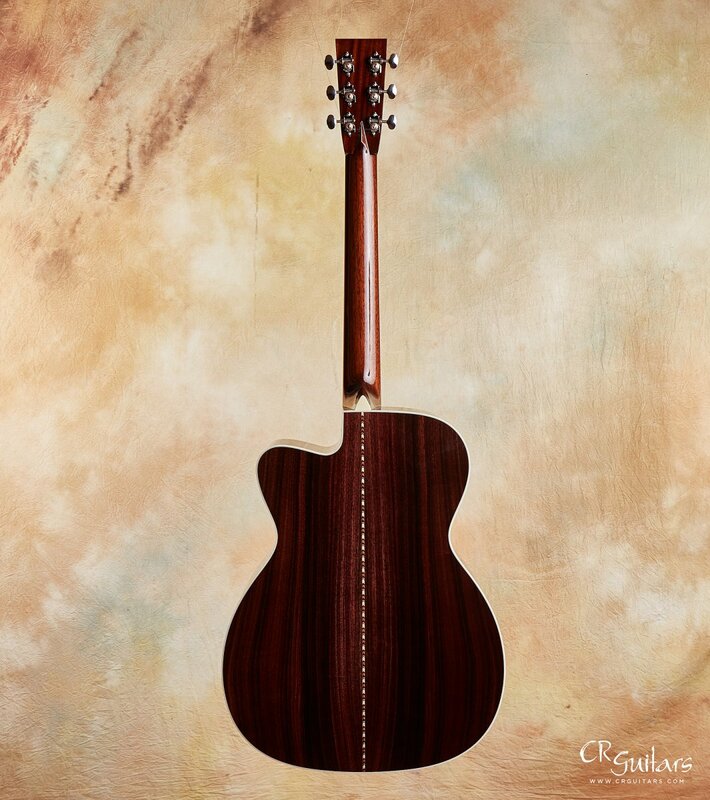 Using my Manzer for inspiration, I chose a very select clean German spruce top with a striking Indian rosewood back and sides. 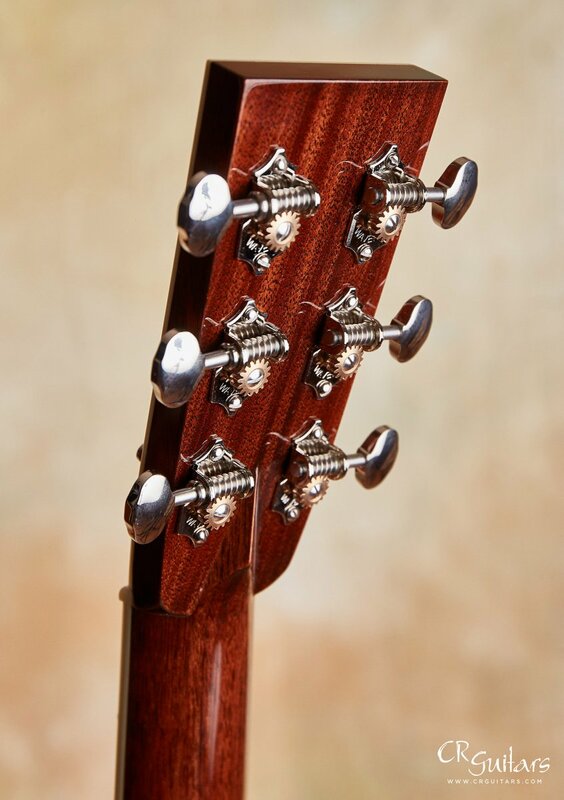 Like my Manzer, I added a cutaway for easy upper fret access, ivroid binding throughout and an abalone rosette. Beyond that, there is even a Trance Audio Amulet M pickup installed. What a wonderful amplified tone… one of the best I've heard. 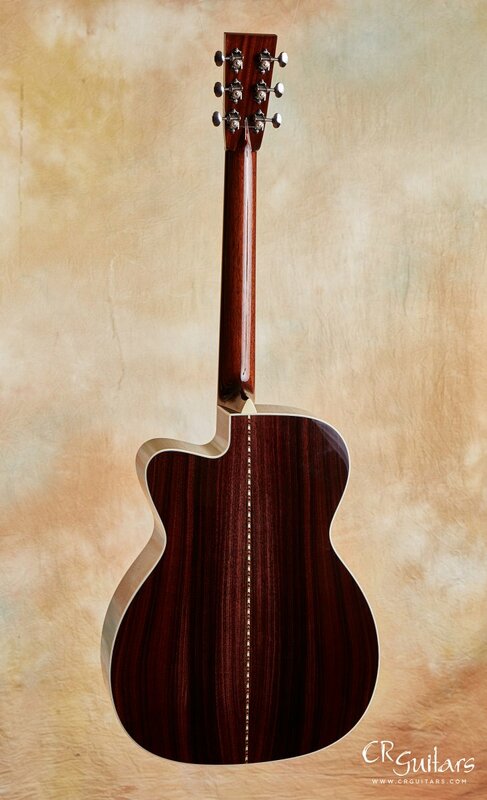 Finally, in putting this build together, I wanted to be able to offer a guitar that would satisfy the acoustic guitar collector's spirit without breaking the bank. 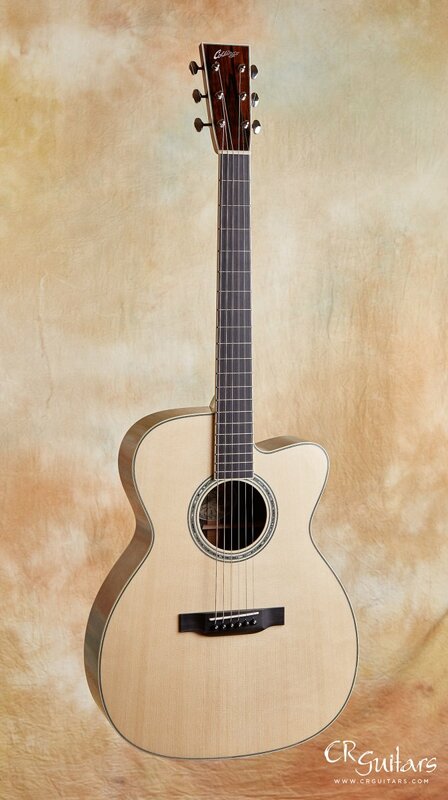 A guitar that would be able to stand along side your Olson or my Manzer. 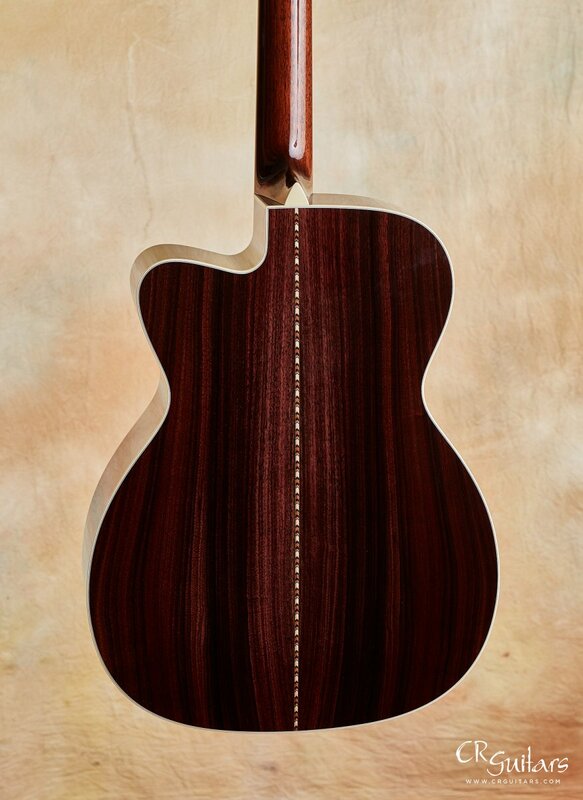 Collings really came through for me here. 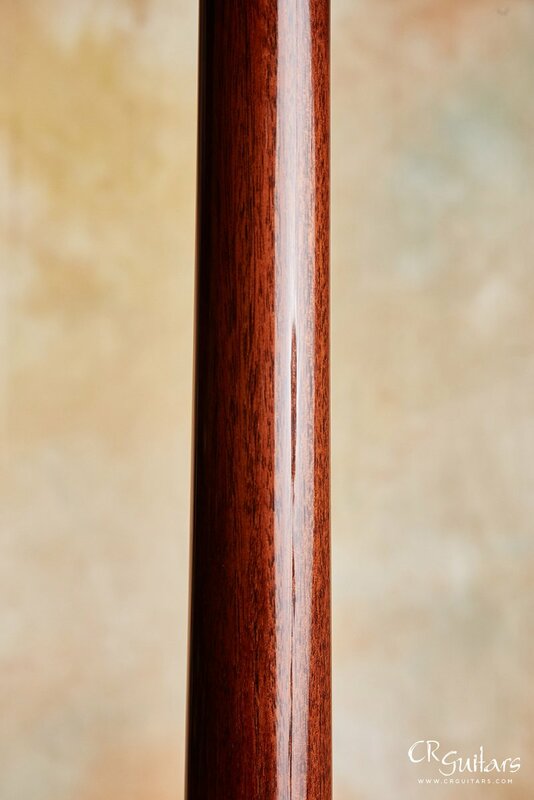 Simply put, this is a masterfully built and wholly seductive OM, one that's comfortable to play, with that rich articulate tone that speaks of high craftsmanship. I suspect that after playing it, you'll feel the same.